Only one part of the United Brethren denomination was located in the Confederacy: Virginia Conference, which included the states of Virginia and Maryland. The conference’s churches were divided, since Maryland was part of the Union and Virginia lay in the South. According to Anthony Blair, three UB ministers in Virginia were arrested for not pledging loyalty to the Confederacy, and Bishop Jacob Markwood scooted out of Virginia with a reward on his head. James Hott was born in Virginia on November 15, 1844. Both parents had been United Brethren since their youth, his father was a UB minister, and the extended family included six ministers. So it’s not surprising that James became a Christian at age 13 and immediately sensed God’s call to the ministry. He was licensed to preach at age 17, and the next year, in 1862, joined Virginia Conference. By then, the Civil War had started. His first assignment included churches on both sides of the lines, and during the course of the war, those lines changed about 20 times. One day the area would be swarming with Union troops, the next with Confederates. Confederate conscription officers frequently arrested Hott, seeing only an able-bodied young man. But the Confederacy exempted ministers from military service, so once he proved that he was a minister, they always let him go. Nevertheless, it was a harrowing three years. He could hear canon and musket fire, close or distant, and regularly approached pickett posts with soldiers — sometimes Blue, sometimes Gray — leveling rifles at him. Opportunistic marauders took advantage of anyone they encountered. But he weathered the war years well. He even crossed into Maryland in 1864 to be ordained, and a couple months later got married. Hott continued pastoring until 1873, when he began nearly 30 years in denominational positions. 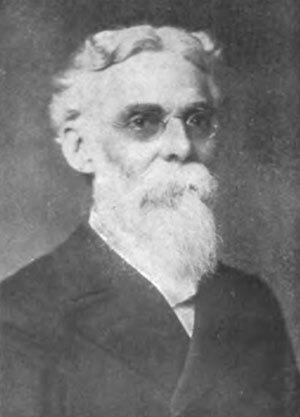 He was editor of the denominational paper, The Religious Telescope, from 1877-1889, and was then elected bishop of the “liberal” United Brethren church, taking the place of Milton Wright, who had departed in the division of 1889. Bishop James Hott died in 1902, a year into his fourth term as bishop.